The Murmansk regional public organization of the All-Russian Azerbaijani Congress (ARAC) has received a congratulatory letter from the governor of the Murmansk region Marina Kovtun. In her letter, Kovtun warmly congratulates Azerbaijanis living in this region of the Russian Federation on New Year, Christmas and the Day of Solidarity of World Azerbaijanis. "New Year is a holiday that unites us. All of us in these beautiful winter days wish our family and our land all the best. Peace, tranquility and friendliness settle in people's hearts. This light of hearts is the most precious Christmas gift and we will keep it all the year. I sincerely wish you health, happiness, vitality and inextinguishable light in your hearts! 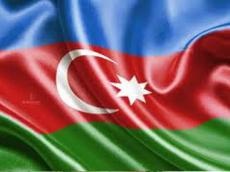 Good luck to all the people of Azerbaijan, good health, prosperity and success,” says the congratulatory message. About 30,000 of Azerbaijanis live in Murmansk region of Russia.